This page shows various topics related to bow building, arrow making, traditional archery, pictures of archery events etc. 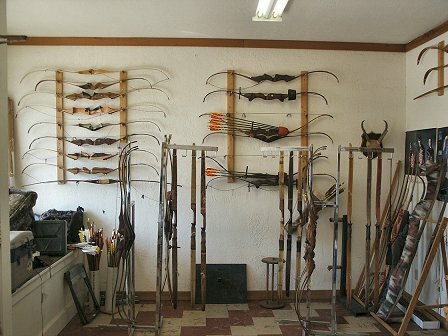 Visit Great Plains Traditional Bows September 2005. Because I was on a business trip in the USA, I was in the opportunity to visit this company. (I own a Great Plains Recurve B-model). 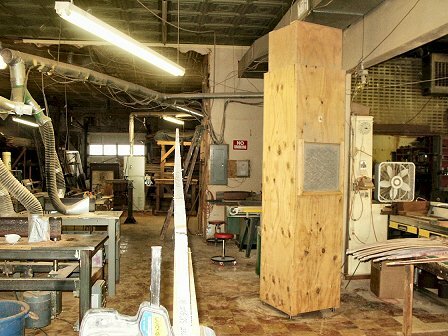 This company is located in Pampa, Texas. (close to Amarillo). 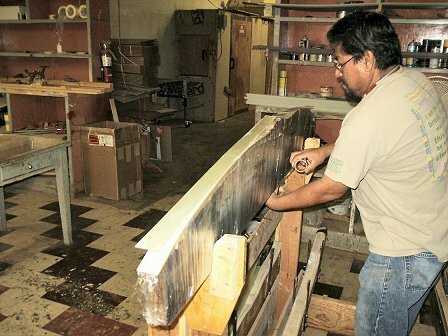 This company produces for 15 year bows of superior quality. 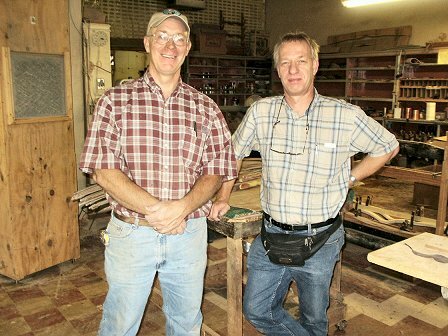 The owner, Bill Forman, was a former carpenter skilled in making furniture of all kinds. 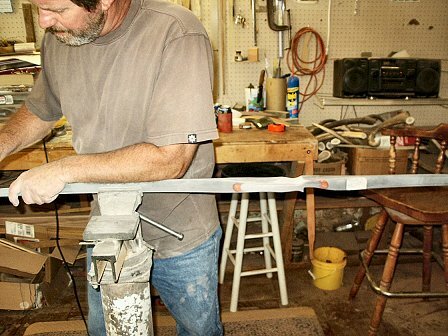 15 years ago he changed his occupation into making bows especially long bows. 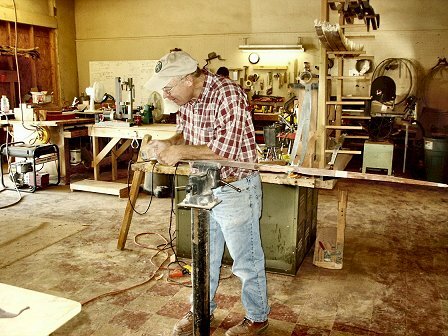 On the web-site he is called “The Great Plains man” .Later on he started producing recurve bows that are somewhat different from the “standard” shape. This recurve bow is very fast, pull easy and has a smooth shot. 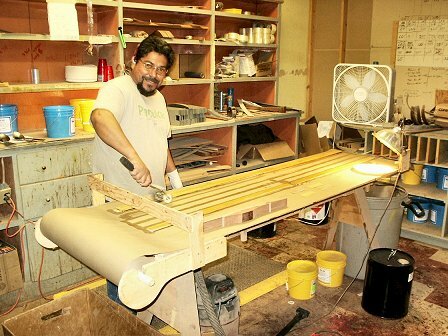 He produces his bows mostly for the american market but since recent times also for the european market. I made a deal with Bill Forman that I can order Great Plains bows directly from him in case someone in the Netherlands is interested buying a Great Plains bow.If there are some questions about these bows then pleas e-mail to: V-Archery@hotmail.com. 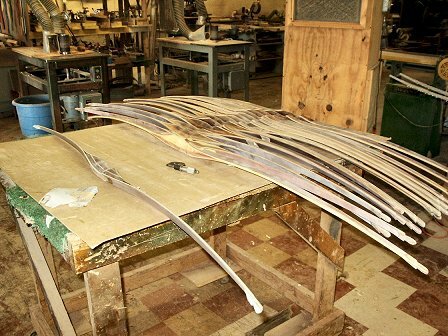 The pictures below give some impressions about the company and the bows that are made there. 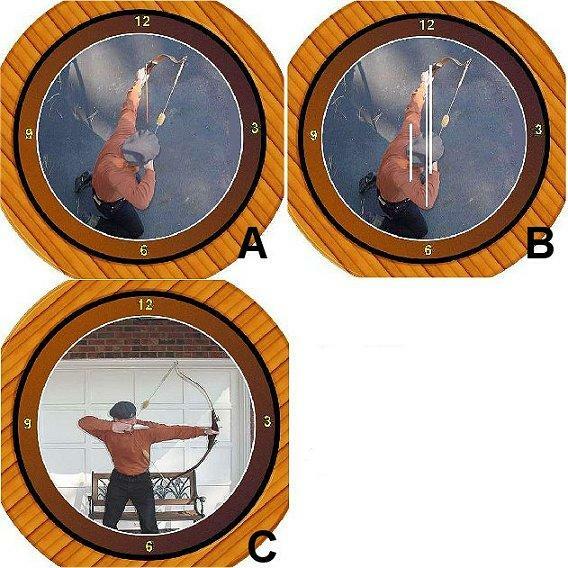 The figure below shows a correct shooting form that is required for an optimal result. The positions of the clock hours are used to get an idea about the body position.